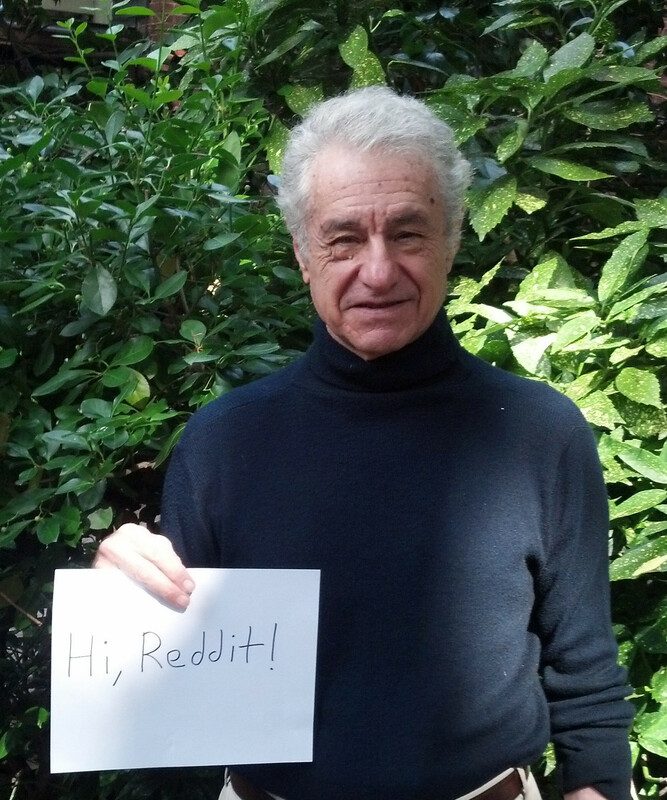 I am Gar Alperovitz, author of What Then Must We Do? and an advocate for an America beyond capitalism. AMA! I recently wrote a feature article in the Nation magazine called "How to Democratize the US Economy," adapted from my latest book. I'm doing this interview as part of New Economy Week, a seven day campaign dedicated to political and economic alternatives organized by the New Economy Coalition. Check it out. P.S. If you're interested in exploring ideas around worker ownership and economic democracy on reddit, make sure you subscribe to r/cooperatives! UPDATE: Thanks everyone for the great questions; thoroughly enjoyed this! Make sure to check out New Economy Week for many events taking these discussions further around the country, and also community-wealth.org for many, many resources on different models for a new economy. And you can follow me on twitter @GarAlperovitz or like my facebook page or visit my webpage to get updates about what I'm working on. 1) A lot of young people are interested in getting involved in "social entrepreneurship", but their business tend to be structured like traditional capitalist enterprises or non-profits, and cooperatives are not on their radar. Why should an aspiring social entrepreneur be interested in cooperatives? 2) You say in your book that retiring Baby-Boomer business-owners are in an ideal position to transfer ownership to their employees. Is anyone explicitly reaching out to this demographic? 3) Just a small point, who coined the term "New Economy" (in this context)? P.S. Shameless plug for the fledgling /r/neweconomy! I get that there is a once in a generation opportunity to radically shift ownership with the coming retirement of the baby boomers I can't help but feel this will at best see a rebalancing of ownership in SME companies and still leaves the elephant in the room... Namely large corporations who arguably do the most harm to society and in many regards represent a class of institution that supports / maintains the 1%'s hegemony. Do you have any views on how ownership of large corporations might be challenged? Personal question. Just looking at your wikipedia page, it's clear you've had quite a diverse career from working inside the government, to being a TV personality and columnist, to now as a leader and thinker advocating for pretty radical systemic transformation. How did you get to a place where you were calling for systemic change? Was that always your mindset even when you were working "in the system?" So THAT was really the big, big question that bugged me. And it forced me to begin thinking about alternative systemic designs, especially given that the Soviet and other so-called socialist experience of the era was so degrading..
Key question, however, was: Is anything different really possible? For a while in the late 60s and even some of the 70s it seemed that liberalism (social democracy) might actually achieve its goals, rendering alternatives unlikely... Took me several years to conclude that this was NOT going to happen..
And then a time of choice: Either there is another path, or there may be no path. I simply dropped all my so-called high level careers cold... went to the attic with my wife's support and rethought what I thought had to be done... picking up on all the old and new threads..
Hey Gar, big fan! Your book America Beyond Capitalism had a big impact on my life. I know there is a lot of experimentation happening around the country trying to transform the system "beyond capitalism," but I was wondering what the big picture looks like. If we're not talking about state socialism, what does the post-capitalist system model look like? Or what are some ideas at least? Good question: I always start at the ground-level, following the principle of "subsidiarity"--Namely, only go to a higher level if absolutely necessary. In general, the other principles are democratic ownership of wealth (for equity reasons, and to prevent the political power that comes with concentrated ownership); ecological sustainability; and community, both in the sense of local community, and in the sense of how do we build a larger culture of community ("we're all in this together").. There seem to be a lot of groups out there working towards their definition of the New Economy - how can they work together more effectively to create real change? Many other groups working on key elements in different sectors (e.g. Transition Towns, Balle, The Capital Institute, New Economy Working Group (at IPS), The Public Banking Institute, etc. The Schumacher Center for New Economics, Lots of co-op, worker-ownership and many, many other groups.Yes Magazine, etc. I hang out a lot on /r/anarchism. How would you say what you advocate for is different from what anarchists advocate for? Gar, how successful do you see cooperative projects like the Evergreen Cooperatives in Ohio? Are there any similar co-ops in the works that we should be aware of (to support, of course!)? EDIT: I don't mean worker co-ops in general (I work at one) I mean one that is built on a structural level similar to Evergreen. There are several emerging efforts that draw upon the Evergreen experience--at least in the following cities: Atlanta, Washington, DC., Pittsburgh; Amarillo Texas; Richmond California; Cincinnatti; the Bronx (big one! ); etc. More than 100 cities have made active inquiries... Many exploring next steps..
Mr. Alperovitz, are you up-to-date on Marxian economist Richard Wolff and his descriptive and prescriptive economics? What do you think of it? In case you are not, and you can't answer that question, I would like to ask you then your thoughts on Venezuela, Chavez, and their co-ops and if they could be a model for transitioning away from capitalism. Hi Gar, I don't see cooperatives as a panacea. In the game Monopoly, everyone plays by the same rules, and all the wealth concentrates. Won't cooperatives put each other out of business, squeeze profits, etc., the same as corporations need to do to survive? It's not a system change. Very good question: I am a strong supporter of cooperatives. However, they are not the be-all and end-all. And indeed, in a large economy worker-owned co-ops, for instance, often must develop many traditional "capitalist" behavior patterns: If someone is selling something cheaper, they must either compete or go out of business. If someone else is cutting down on the cost of environmentally decent behavior and polluting the community, they must do so too or go out of business. Nor are they particularly eqalitarian: Worker co-ops that own the oil industry would not be the same as the co-ops in the garbage industry. So... In many areas small co-ops are not subject to these kind of "macro" pressures; so no problem. But in larger forms, we need to begin to think of larger structures that can both build on the co-op idea, but do so within the larger framework of community. Take models like those emerging in Cleveland where a community-wide non-profit is the basic community representing structure, and worker-owned co-ops are part of this, subordinated in several ways to the larger community. Also supported by purchasing power of large non profits with taxpayer money part of THEIR basic stance (e.g. hospitals and universities).. Here we begin to subordinate the problems you raise to a structural solution or partial solution representing larger community interests. I have spelled some of this out in the AFTERWORD to my book WHAT THEN MUST WE DO? Continuining See also New Intro to the second edition of America Beyond Capitalism. The question you raise is at the heart of what I call "systemic design"--and I strongly support efforts to raise tough questions so that we can begin to deal with the harder problems that come up once we begin to move in the direction not merely of projects, but of systemic change. Can you talk a little bit about some of the best examples you've seen of collaborations between folks building democratic enterprises/community wealth and folks who are more engaged intraditional forms of community organizing and power building? This is a really important question, but I'm not in position (yet) to give a really good answer: National People's Action is gearing up to deal with precisely this question. How do we combine intelligent traditional organizing with the building of new economic institutions as a central strategic new direction. I think we are seeing it occasionally, here and there around the country, but I have personally haven't yet seen a coherent model (though there may be some I dont know about.) One major area where we might well get convergence is work on Community Benefit Agreements could also be integrated with efforts not simply to gain traditional goals, but also--in alliance with new economy groups--to build support for community-benefiting economic institutions.Same might occur in university fights over climate change, and begin getting investments from universities in co-ops. Also nudging their purchasing power into action in support of new economy businesses. What we need now is many, many experiments out of which "best practices" in this area will emerge. Critical areas for next stage work!!!! Why do you think this brilliant economic project has failed to capture the interest of washington politicians/the media/the public at large? It seems like something that can potentially appeal to the whole political spectrum. Washington politicians are often (but not always!!) the last to catch on.. Sometimes a hip pol "gets it" and can translate advanced ideas into politically viable efforts. (Long ago I worked in the US Senate for Gaylord Nelson, who pushed environmental legislation at a time this was not very much in vogue; he then helped launch Earth Day... and lots of things caught fire... You can find these examples in virtually every area. Having said as much, the real work is from the bottom up, building up more and more until there is enough happening that it impossible to ignore... I have been on a book tour recently: Almost everywhere I went someone would come up to me with a new exciting project that I had never heard of. My sense is all of this--including exciting models like Cleveland--will break through at some point, and probably sooner or later. There has been an amazing explosion of interest in this entire area over the last two years, and almost certainly only the beginning.. The press and pols will follow as we build forwrd and force their attention. Dear Gar: Your book, What Then Must We Do?, is truly inspiring. In it, you wrote about the New Community Corp. in Newark, NJ. I was involved in a project that involved them in the late 1980s, and I see they have grown since then. Do organizations like this start by a few people having a good idea, sitting around a table, and taking the actions to breathe some life into it? What are the essential factors in creating this type of change successfully? Thank you. The other question is this: In a capitalist world where neoliberal agendas are ubiquitous and virulent - and directly opposed to socialism - how do we fight and build at the same time? ~Thanks for your time and all you do. I love reading dense works of political economy, but I recognize that this is not a common preoccupation. Are there works of art, film, or fiction do you see as particularly useful for telling the New Economy story? Hey Gar, I love the work you're doing, I think you're right about the potential for this type of transformation. Could you point me to any studies linking any aspects of the new economy movement to their possible positive effects on climate change? Also, what are some of the more interesting or unexpected markets or industries that you've found co-ops occupying? "The move to a national single-payer system will be long and difficult, but it is possible—and with it will come the democratization of a sector that currently represents almost a fifth of the US economy." Actually, the institutions that provide health care (including those that provide health care under the single-payer Medicare program) are, as far as I know universally, structured along traditional lines- either as for-profits or non-profits. The hierarchical organization of health care- with physicians at the top- makes it tough to promote cooperative ownership of health care organizations. All that a single-payer system does, at best, is get the insurance companies out of the middle and enhance the bargaining power of the government. Not bad, but not a dramatic democratization of the economy. Do you agree with the central tenets of Modern Money Theory (MMT)? Would you rather fight 100 duck sized co-ops or 1 co-op sized duck? I prefer both, different strokes for different scale problems..